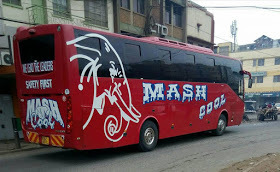 As Kenyans celebrate this year's Mashujaa Day, we Bus Kenya would like to honour our bus companies in Kenya for being our Shujaa. We honour our bus companies for being our Shujaa as they play a big part at making sure that all the Kenyans travelers reach their destinations safe and sound. 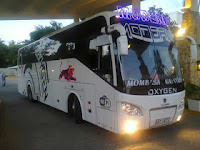 Bus Kenya also appreciate Modern Coast Coast Express for the honour they did during early September in donating over 3,000 Reflective Jackets to the National Transport and Safety Authority (NTSA) to help in reducing road carnage. We Love You and We Honour You All. Happy Mashujaa's Day.